Alla Peters is a Fibonacci Strategist, Trader and Educator. Since 2011 Alla has taught traders how to trade her Indicator-Free Proprietary Fibonacci method on: AlphaWaveTrader.com and FibonacciTradingInstitute.com. Alla’s prior career work at the world renowned John Hopkins Hospital where she specialized in Behavioral Psychiatry, has made her comfortable teaching her techniques through group education and private mentoring. Her discovery of the natural Fibonacci rhythms in Price action and her dedication to constantly improving her techniques, are conveyed to her students by her ability to simply explain her methods in a highly disciplined, rule-based trading system. Drawing on 22 years of experience in the financial markets, following the collapse of 2008, Alla recognized that Fundamentals are meaningless if they contradict the price. 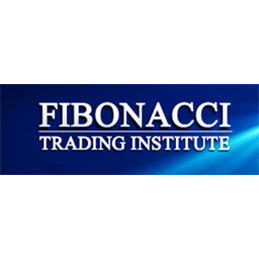 With that realization, she then developed her Proprietary Fibonacci and Price Action Methodology to capitalize on trading opportunities using Price Action alone for trade entries and her Fibonacci levels for exit strategies …. The AlphaWaveTrader© method provides traders of all levels the ability to capitalize on opportunities in any market. Alla continues to work with traders of all skill levels and backgrounds, from the novice “retail” to highly advanced semi-pro and institutional traders.